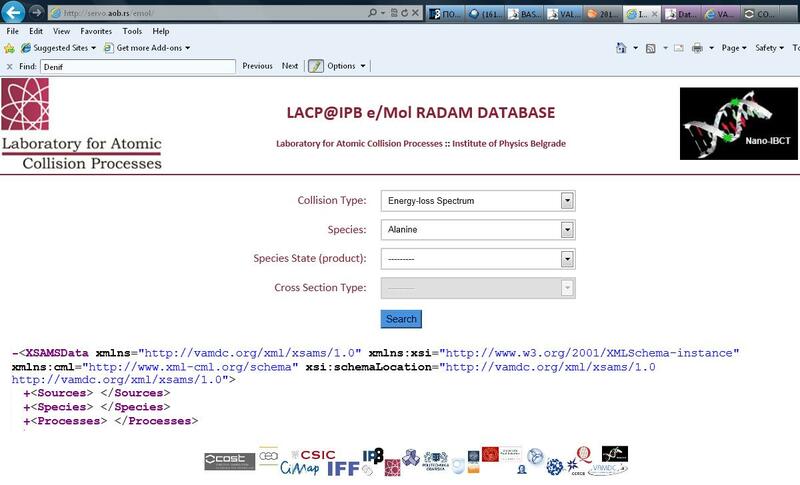 The Belgrade electron/atom (molecule) database, BEAMDB, maintains data on electron interactions with atoms and molecules. These data are in the form of differential and integral cross sections for elastic scattering and electronic excitation processes as well as total scattering cross sections. In addition energy loss spectra as relative intensities of scattered electrons versus electron energy loss at the fixed impact electron energy and scattering angle are stored in the present data base since these may be important for direct comparison with theory and useful in determining ‘total’ energy transfer into a medium. The BEAMDB is a part of the RADAM (Radiation Damage) consortium that had been initiated from European COST (Co-operation in Science and Technology) Action P9 “Radiation Damage in Biomolecular Systems” [http://www.isa.au.dk/networks/cost/home.html] (2003-2007) and proceeded by COST Action MP1002 “Nano-scale insights in ion beam cancer therapy (Nano-IBCT)” [http://www.cost.eu/COST_Actions/mpns/Actions/MP1002] (2010-2014). 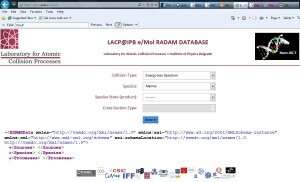 The idea of the RADAM database is to provide access to relevant data which spans from elementary processes through to multi-scale and biological effect processes such that those developing models and radiotherapy tools can have access to current state of the art data (Denifl et al 2013 J.Phys.Conf.Ser. 438, 012016). 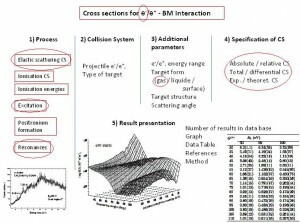 In order to determine track structures and to model the role of low energy electrons and positrons in biologically relevant media it is necessary to have a full set of cross sections that govern the elementary interactions along the track. The BEAMDB is addressing a part of these needs being centred on electron collisions by molecular species and more specifically on biomolecules or molecules of biological relevance (Marinković et al 2015 NIMB DOI: 10.1016/j.nimb.2014.12.039 ). The principle adopted for data storage is that only those data that has been previously published and so has been subject to a formal refereeing procedure, should be included. This principle follows from discussion amongst A&M community and is a consensus of the views of the data providers, who measure and calculate these A&M data. For such reasons the sources of the data are therefore included in the data base with all their crucial entities (authors, journal, volume, pages, doi, Bibtex).